Barça midfielder Paulinho is among 30 nominees for the 2017 Samba Gold trophy, an annual award given to the best Brazilian football player in Europe. The 29-year-old attacking midfielder is in his first season with FC Barcelona. He signed with the team last summer after two seasons in China with Guangzhou Evergrande. Paulinho has been one of the keys to Barça’s undefeated start to the season, in which the team is in first place in La Liga and has cruised into the last 16 in the UEFA Champions League. Paulinho has made 20 appearances for Barça, including 14 in La La Liga and in all six Champions League group stage matches, and has scored four goals—all in La Liga. 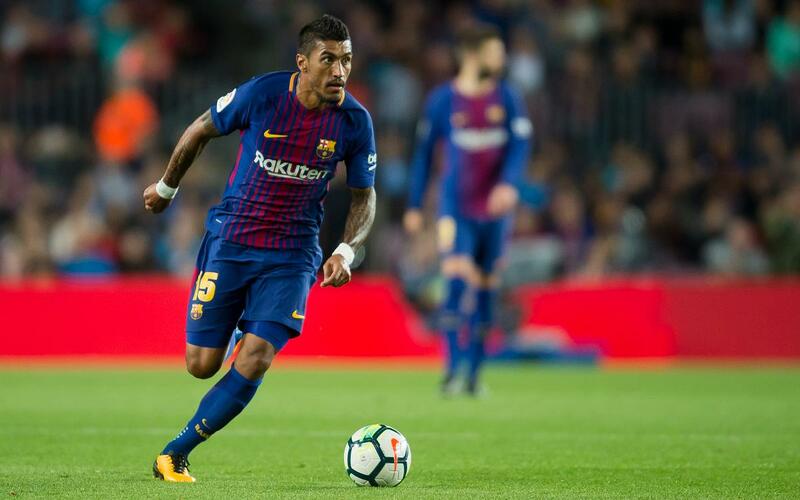 On September 16, Paulinho came off the bench in the 77th minute of a 1–1 game and scored the game-winner in the 84th—his first goal in a Barça shirt—to deliver a 2–1, come-from-behind victory at Getafe. The award, officially named the Samba d’Or, is given by the Sambafoot Company—a popular Brazilian football news portal—based on votes cast by journalists, professional footballers, and internet users. The Samba Gold trophy will be awarded in February. Last year’s winner was Liverpool’s Philippe Coutinho.